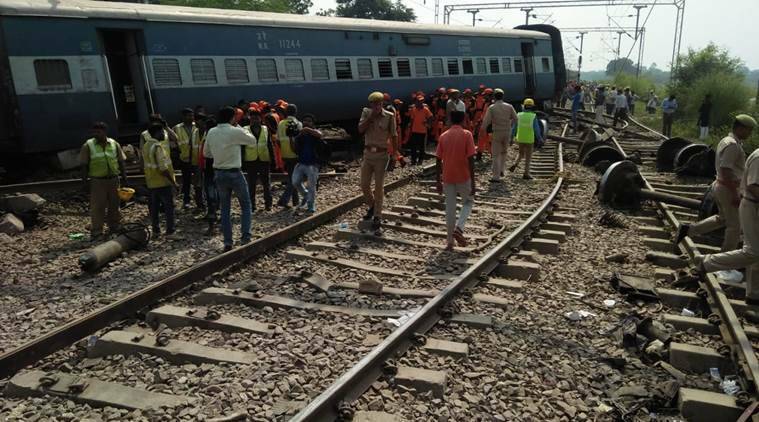 UP Rae Bareli New Farakka Express train derails: A NDRF team has been deployed to Harchandpur Railways Station to conduct rescue operations. 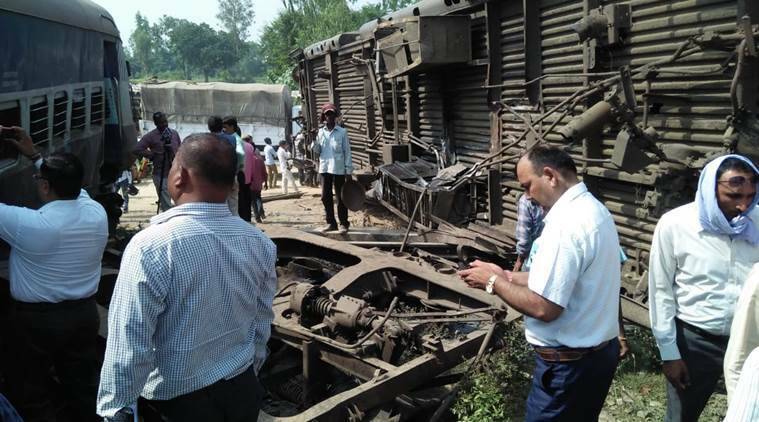 At least seven people died and around 35 injured after nine coaches and the engine of the New Farakka Express (Train No. 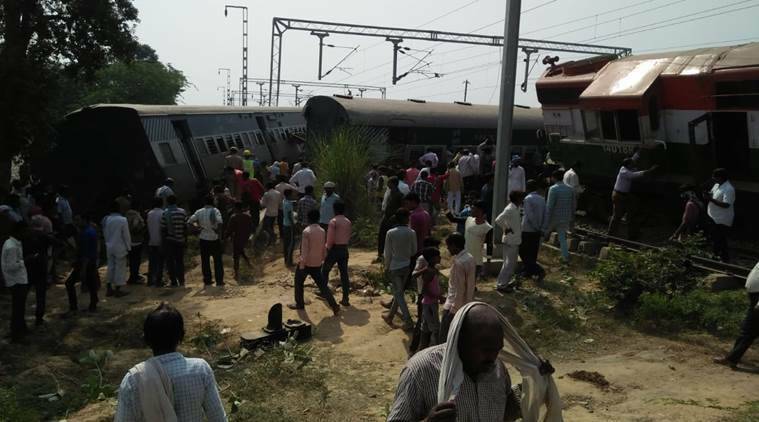 14003) derailed near Rae Bareli in Uttar Pradesh at around 6 am on Wednesday. Several passengers on the train are feared trapped. The train was expected to reach New Delhi a little after 2.30 pm today. A National Disaster Response Force (NDRF) team has been deployed to Harchandpur Railways Station to conduct rescue and relief operations. Doctors have been rushed to the site of the accident as well. The District Magistrate and the Superintendent of Police are also present at the site of the accident. Trains on the Varanasi-Lucknow route have been halted as officials expect the toll to rise. President Ram Nath Kovind says he is sad to hear about the UP train accident in Rae Bareli, and offers his heartfelt condolences to the bereaved families. Deputy Chief Minister of UP also tweets. Here's a list of helpline numbers curated after the New Farakka Express train derailed in Rae Bareli district. Pained by the loss of lives in the derailment of the New Farakka Express in #RaeBareli. My sincere prayers for the recovery of those injured and condolences to the grieving families who lost their loved ones in the mishap. Prime Minister Narendra Modi has expressed anguish at the loss of lives in the train accident. Here's a tweet from the Prime Minister from the PMO. Railways Minister Piyush Goyal has announced Rs 5 lakh ex-gratia for the next of kin of the deceased, reports ANI. Rs 1 lakh compensation has been announced for those with serious injuries, and Rs 50,000 for those with minor injuries. ADG Law and Order Anand Kumar says drones and long-range cameras are being used in the rescue operations. Authorities are using heavy duty cutters to extricate passengers trapped in the train. ADG Law and Order Anand Kumar has confirmed that the death toll has risen to 7. Around 35 passengers have sustained injuries; nine of whom are in serious condition. ADG Law and Order Anand Kumar has comfirmed that the toll is now 7, while 35 others are injured. Nine people are in serious condition. Congress leader Ashok Gehlot offers condolences to the bereaved families. "Deeply saddened at the loss of lives n injuries in derailment of New Farakka Express coaches in Rae Bareli, Uttar Pradesh," he tweets. 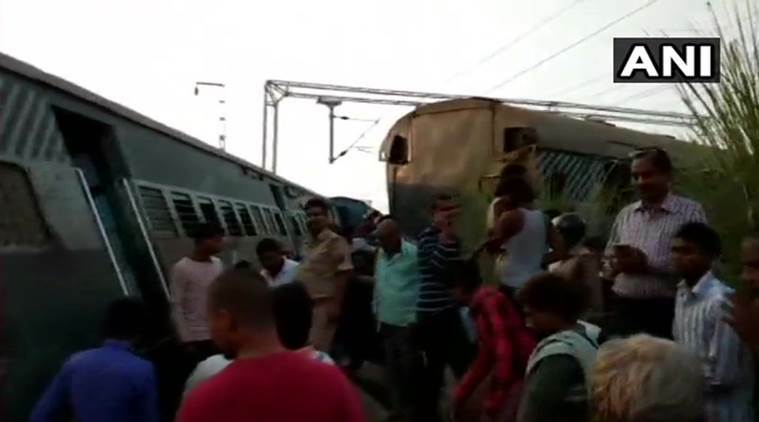 Officials have halted trains along the Lucknow-Varanasi route due to the derailment. Rescue operations are underway. Emergency helpline numbers: 05412-254145, 027-73677 (Deen Dayal Upadhyaya Junction); 0612-2202290, 0612-2202291, 0612-220229 (Patna Station), Railway Phone No. 025-83288. According to ANI, CM Adityanath has announced a sum of Rs 2 lakh as ex-gratia to the next of kin of the deceased and Rs 50,000 to those who have suffered serious injuries. He had earlier directed authorities to provide all aid to the passengers. Uttar Pradesh Chief Minister Yogi Adityanath, taking note of the incident, directed authorities to help passengers and provide all aid necessary. He directed the District Magistrate and Superintendent of Police to travel to the site of the accident--they are currently overseeing rescue operations. According to PTI, the chairman of the Railways Board Ashwani Lohani is also en route the accident site. The NDRF put out this statement this morning. The agency has deployed a team to the site to conduct rescue operations. It is feared that passengers are trapped inside the train. Along with the NDRF, medical teams have also been rushed to help passengers. 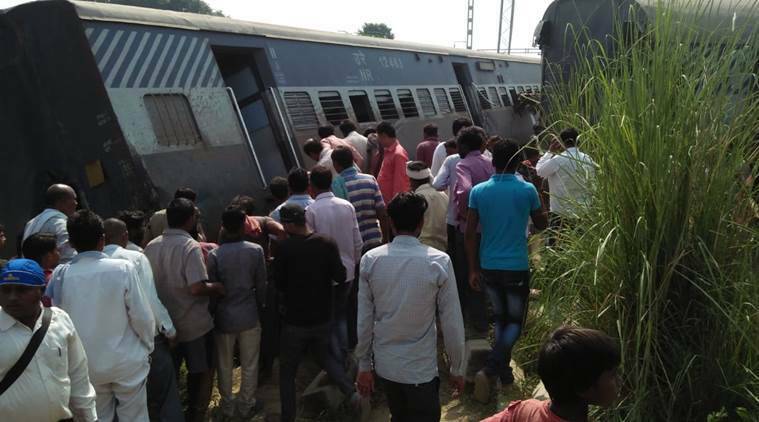 New Farakka Express (Train No 14003), which left Malda Town station in West Bengal at 9.05 am, derailed a little outside Harchandpur at around 6.30 am Wednesday. The train, which was travelling on the Varanasi-Lucknow route, was expected to reach New Delhi at 2.30 pm. 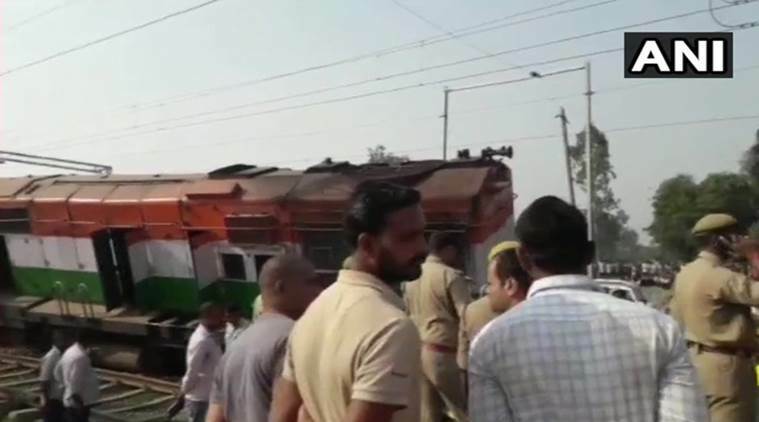 At least five people were killed this morning after the New Farakka Express, which was travelling to New Delhi, derailed near Rae Bareli in Uttar Pradesh. Several passengers were injured, and many are feared trapped in the train. Emergency services have been pressed into action to conduct relief and rescue operations. Follow our LIVE blog for the latest news.